This walled park, extending over more than 400 acres and bisected by the Awbeg River has formal gardens, sweeping parkland vistas, groves of ancient trees, river cascades and lakes, deer and cattle herds and a profusion of wildlife and plants. 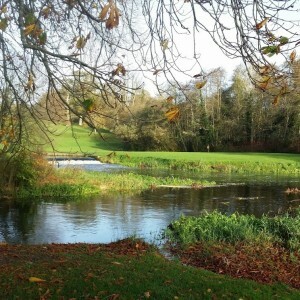 Doneraile is a small rural town but it has a public park that would be the envy of any large city. 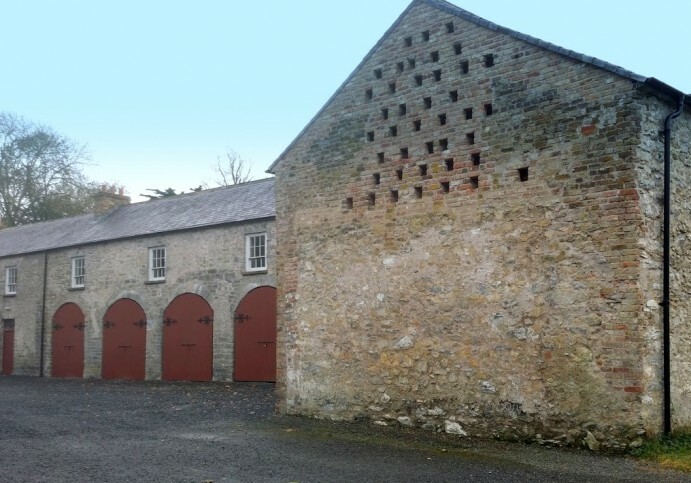 When in 1629 Sir William St. Leger, then Lord Deputy of Ireland, paid £1,800 for “… the castles, towns and places called Downeraile, Ballyellis etc. etc.” he bought much more than the park we see today. The family came into ownership of thousands of acres extending through counties Cork and Tipperary. 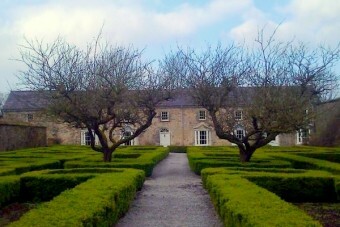 The St. Legers moved into Doneraile Castle, a 13th century Norman stronghold. However by 1645 it had been attacked and burned several times and was so badly damaged that it was abandoned and nothing now remains of it. 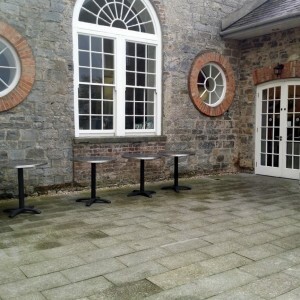 While a date on the front of the house suggests it was built in 1725 the house originally dates to the late 1600s. Some of the stone from the castle was used in its construction; a mullioned window in the basement came complete from the castle. 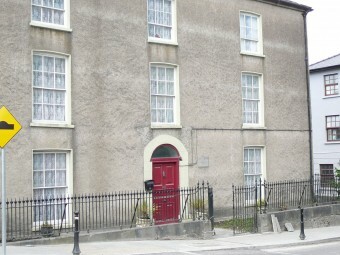 The later date was when the facade of the house as seen today was added and the house was extensively remodeled by architect Isaac Rothery. Among many additions made over the centuries was a lovely octagonal kitchen and game store extension built in 1869, which now houses tearooms. Sadly a dining room built at the same time was demolished in 1977, as was a nine bay Gothic Revival style conservatory built in 1825. 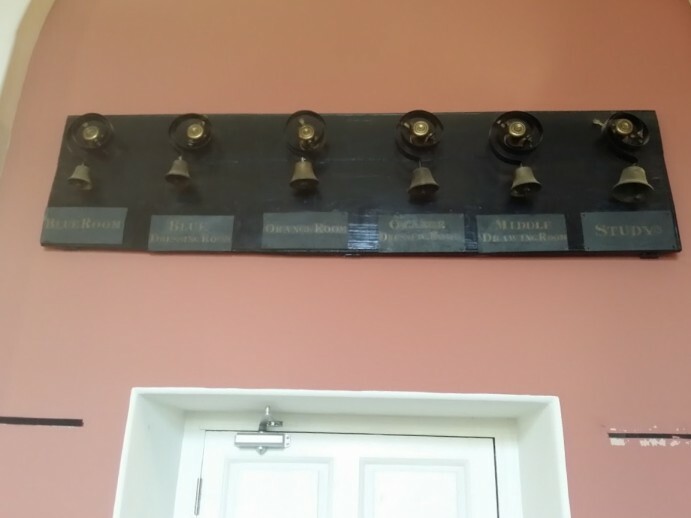 Around the the house and through the park there are cottages and lodges which once housed estate staff as well as extensive farm buildings and stables, including a granary added in 1770 and recorded at the time as being ‘so completely built that not a mouse can possibly get in‘. 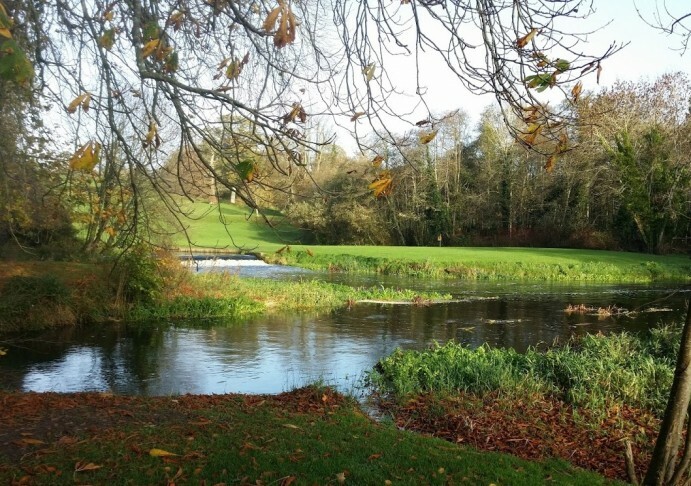 By 1870 the estate owned 8,374 acres in and around Doneraile but from there it began to decrease in size as portions of land were sold to tenants under various Land Acts of the late 19th and early 20th centuries. 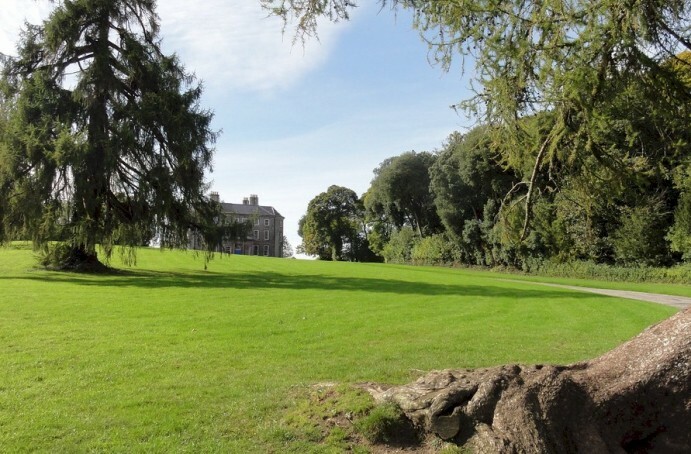 The remaining demesne lands, which now comprise the park, were sold to the state in 1943 and the house came into state ownership when the last member of the St. Leger family to live there left in 1969. 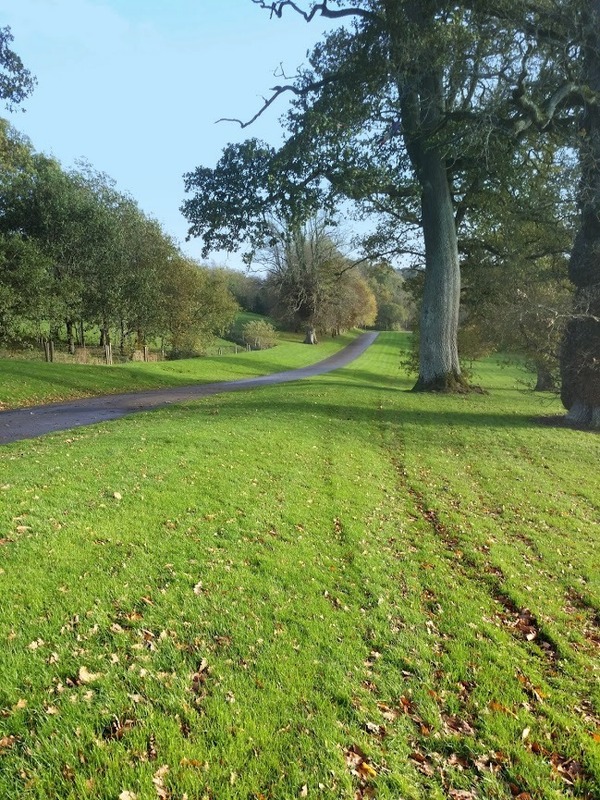 Probably the most important work undertaken by the St. Legers was the creation of the parkland around the house during the 18th and early 19th centuries, in the style made famous by landscape architect Capability Brown. Looking in any direction from the house there are vistas that appear to have occurred naturally, with undulating stretches of grass interspersed with groves of trees, lakes, rivers, bridges and water features. Of course these didn’t occur naturally at all but are the result of careful planning and planting over many years and required extensive diversions of water with man made weirs to create and maintain the pleasing views. By the early 1900s there was a small army of over 90 gardeners employed to maintain the park and gardens. 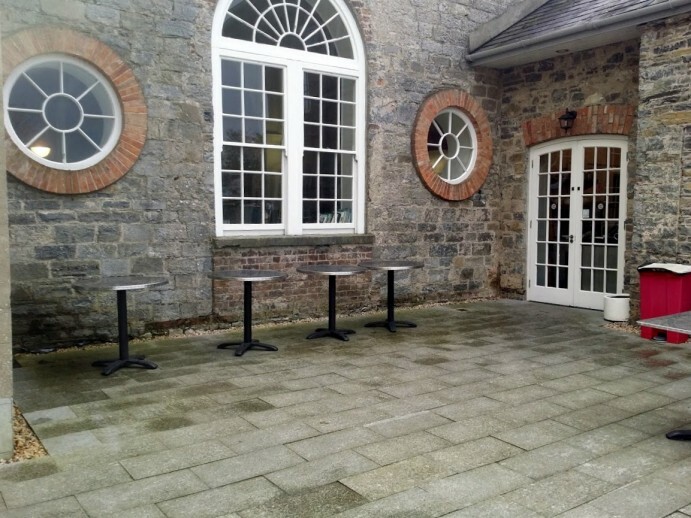 In addition to the parkland smaller gardens were created, for ornamental purposes and to supply the kitchen. A laneway with high walls on both sides leads from the house to the now restored Parterre Garden with its carefully trimmed box hedges and lovely gardener’s cottages. 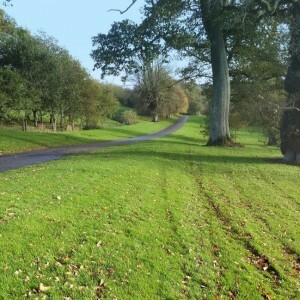 The trees are among the greatest glories of Doneraile Park, with extensive groves and avenues of mature trees as well as specimen trees, some more than 300 years old. 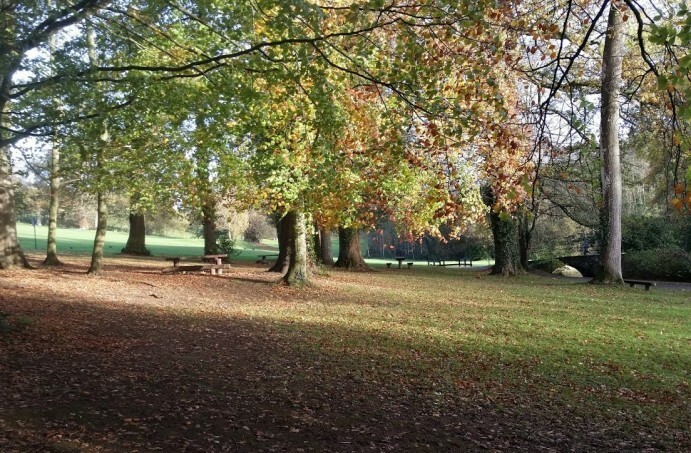 The double row of beeches along ‘Beech Avenue’ date from the 18th century, Lady’s Well Wood and the wetland area has wonderful oak trees while the larch trees on the lawn were planted in 1730, making them among the first planted in Ireland. In the gardens there are cherry, yew, variegated sycamore, ash, redwood, Chusan palms and a Cork oak. 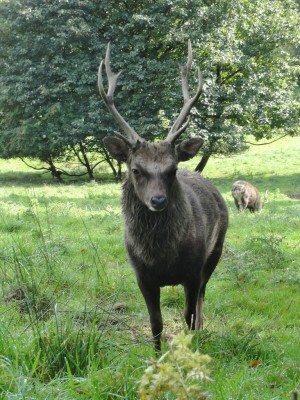 Three species of deer – Killarney Red Derr, Sika and Fallow, roam the deerpark while a herd of Kerry cattle, a rare indigenous breed, graze the meadows. 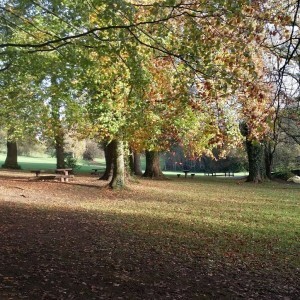 There are many pathways through the park along which visitors can walk through woodland, by the river or around the perimeter wall, along all of which you are likely to encounter rabbits, squirrel and, if you are really lucky, an otter. The wetlands area is being developed as a bird sanctuary and common residents or visitors include Kingfisher, Heron and various species of duck. One of the first tasks of the St. Legers was to cement their position and that of the area they how owned. 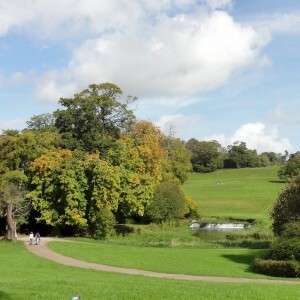 The family successfully saw Doneraile became a borough under a charter granted by Charles II in 1679, which meant it could elect two members to the Irish Parliament. In 1728 plans were drawn up to give the scattered village at the gates of the demesne an overhaul. 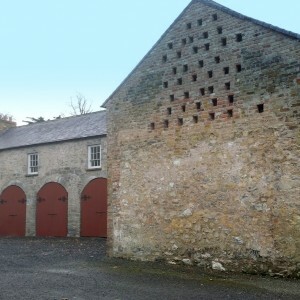 The result is that the Doneraile today is a good example of an 18th century planned town, a ‘Gentleman’s village’. The plans provided for a church, fair green and mill, to be built facing the the estate which was walled and screened by trees. Impressive two and three story houses lined the main street, with smaller houses on lanes radiating out from there. Much of what was built remains today and the town is easily recognised from those plans. The St Legers brought prosperity which attracted other landed families and as you drive through the countryside today many of their large houses can be glimpsed through the fields. Local families also benefited from the employment and commercial opportunities offered by these new arrivals. The fortunes of the town waned with those of the wealthy landowners during the late 19th and early 20th century. 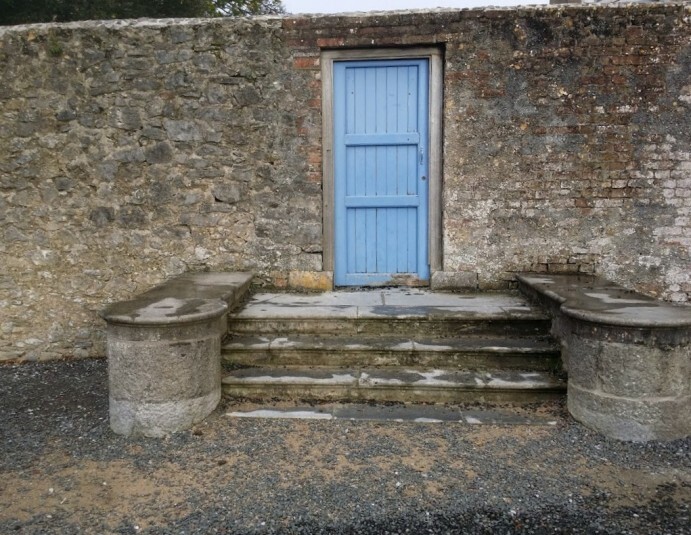 As the big houses were sold or saw their fortunes dissipate, the town suffered too and emigration was often the only option for young residents of Doneraile. 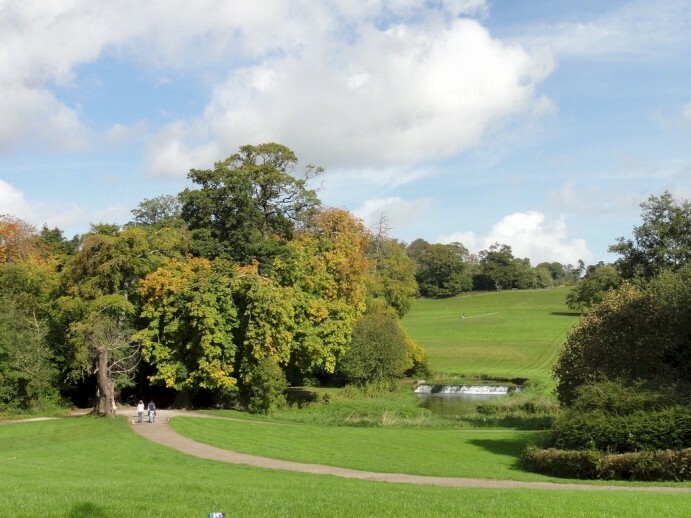 Doneraile is at the centre of renowned horse breeding and racing country – it was here that steeplechasing was invented in 1752 when Cornelius O’Callaghan and Edmund Blake raced four miles cross-country from Buttevant Church to the St. Leger Church in Doneraile. 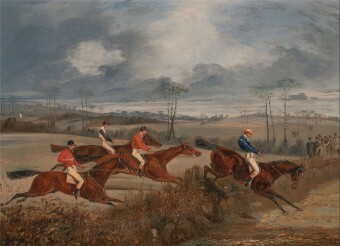 The St. Leger family owned and bred horses, for hunting and racing, both here and on their English estates near Doncaster. 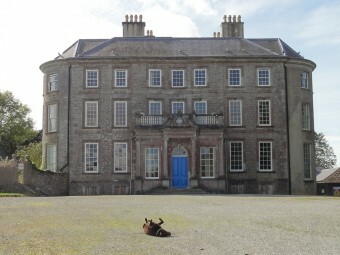 The oldest of the English classics, first run in 1776 and bearing the family name, was founded by Colonel Anthony St. Leger, who was born at Doneraile. The park is open all year and admission is free. The house and other estate buildings are, slowly, being restored and are not generally accessible, apart from a really wonderful (and excellent value) tearoom in the old kitchen, which is worth a visit by itself if you are in the area and in need of food. There are toilets, picnic tables and a very good playground for kids, who really enjoy this place with its multitude of opportunities for exploration and just running about. While there are signs saying dogs must be kept on leads, this seems to be honoured more in the breech than the observance, so if your dog is well behaved and not a chaser you’ll probably be able to let him have a run. Do please pick up after him though. Really. 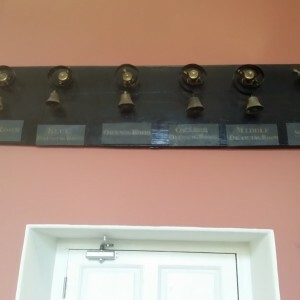 Hello my name is Gordon O’Keeffe and my uncle Mick (Michael)Sheehan was a gardener at Doneraile court many years ago,would you know if any records exist on paybooks or employment records of him or any of my relatives (who I believe worked in the gardens there) O’Keeffes from Convent rd Doneraile. 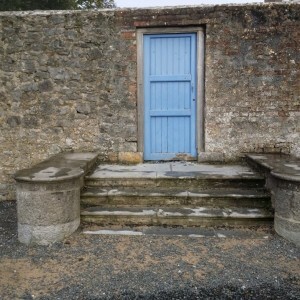 If you have any information I’d be so happy if you would tell me,also my father said Doneraile court was a beautiful house and it really was a focal point 50/60 years ago. My Grand mother was Claudine St Leger and I would like to know more about my ancestors.